Opera Memphis hired Speak Creative for their website redesign project. They wanted a responsive website that was clean, modern and used vibrant imagery throughout the design. The goal was to immerse users in the experience of opera. 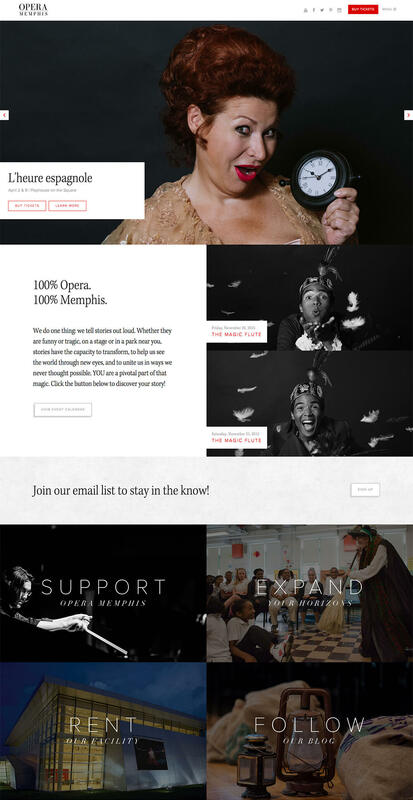 Beyond showcasing the upcoming season and creating an inviting online experience, Opera Memphis wanted users to easily be able to purchase tickets, for individual shows and for the season. Opera Memphis recognized how easily they could manage their content using our SiteWrench CMS, and that was one of the major reasons they chose Speak for their project. Our design team created a website with a clean, modern look using strong, vibrant photography throughout the pages. More focus was applied to ticket purchasing, and the "Buy Tickets" calls-to-action were placed strategically. 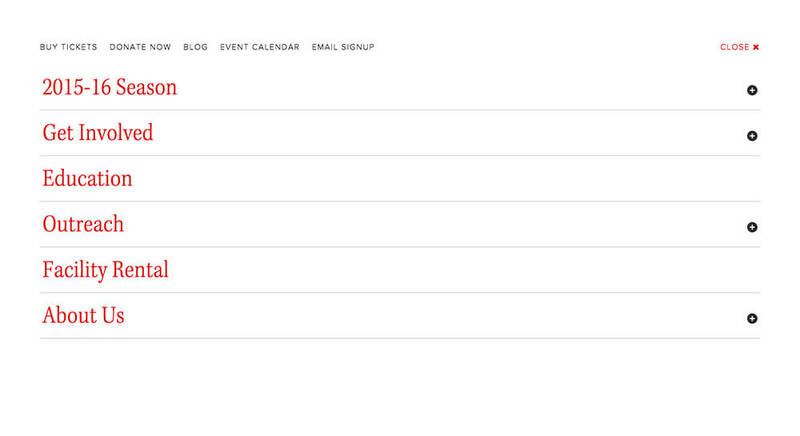 Additionally, Opera Memphis let us push the envelope with their site navigation. This new navigation technique allows a first-time user to absorb what's on the home page, moving through the content until they reach something that peaks their interest. The responsive design of this website displays well across all browsers and screens, and keeps viewers engaged with Opera Memphis' goal of purchasing tickets. 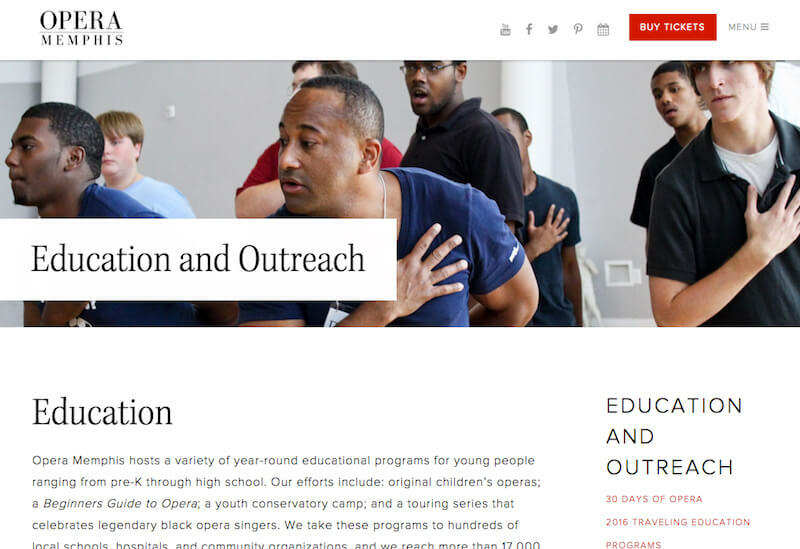 We also prominently featured other ways to connect with Opera Memphis on their home page including facility rental, community engagement opportunities and support options. Opera Memphis is a staple to the Mid-South arts community and has been since 1956. The caliber of events and talent performing on stage here in Memphis rival that of any big city's opera house. We would say they are exceeding their mission to entertain and inspire the people of Memphis and the Mid-South through the art of opera. © 1999 - 2019 Speak Creative, LLC.